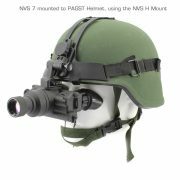 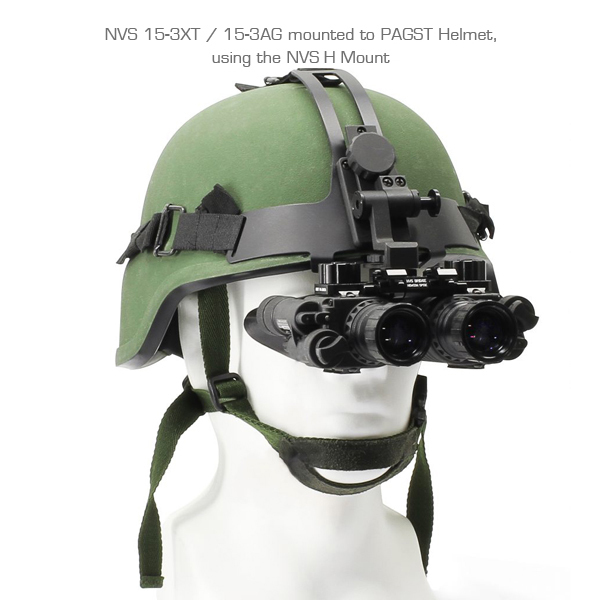 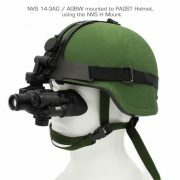 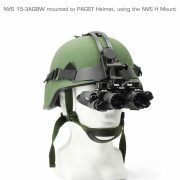 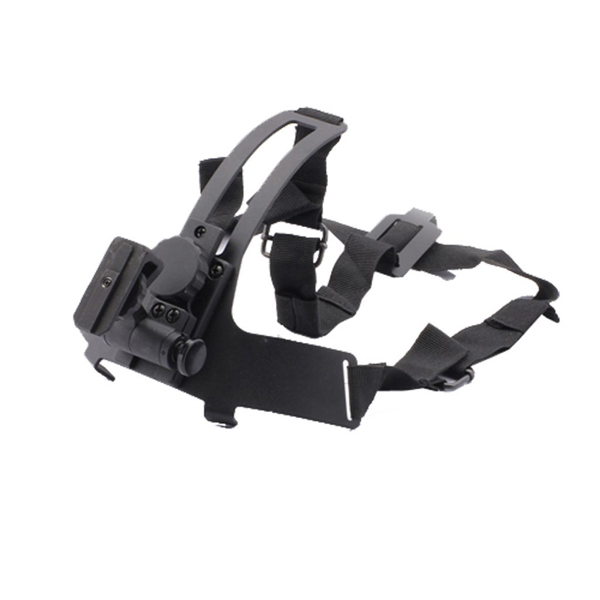 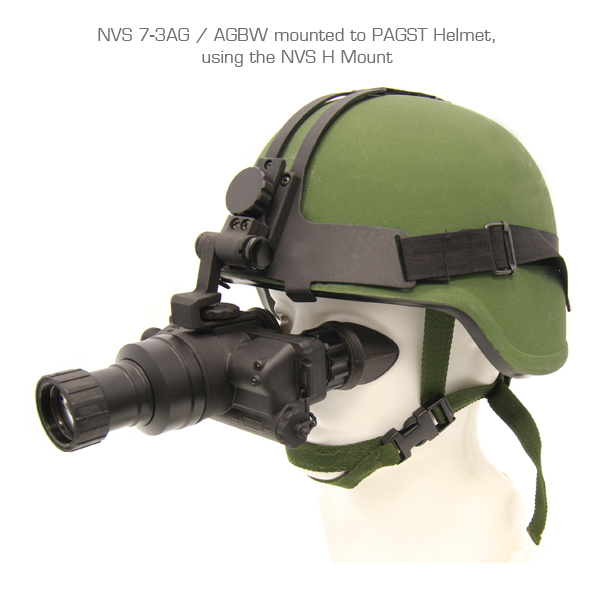 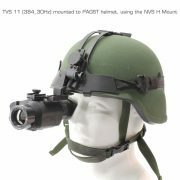 The NVS H Mount is a metal helmet mount for attaching NVS 14 Night Vision Monoculars or NVS 7 Night Vision Goggles to a standard PASGT infantry helmet. The NVS H Mount fits securely onto a PASGT helmet via a rugged strapping device and grooved hooks. 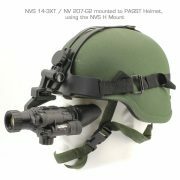 While attached to the helmet mount, a night vision device can be positioned directly in front of the operator’s eyes or flipped up. The NVS H Mount is the only mount of its type compatible with NVS 14.